Democrats on Capitol Hill are frustrated by the news that some members of special counsel Robert Mueller’s team are privately displeased with Attorney General William Barr’s characterization of their investigatory work, and are ratcheting up their demands for a full public release of the Russia probe’s findings. The news has already put Democrats into a furor over not seeing even a redacted version of Mueller’s report. The news dropped while the White House was under siege from Capitol Hill. Democrats on Wednesday authorized a subpoena for the Mueller report, formally requested Trump’s taxes and prepared to issue a subpoena for Trump financial records from an accounting firm. Multiple committees are also investigating a breach at Trump’s Mar-a-Lago club by a Chinese national, and reports also indicated the House Intelligence Committee is reviewing records from Trump’s inauguration. Though Trump initially expressed confidence that Mueller’s report exonerated him, he has begun to betray concerns in recent days, suggesting repeatedly that he doesn’t like the notion of House Democrats getting access to the full report and highlighting news clips that emphasize Barr has no obligation to reveal the report to Congress or the public. Trump continued that line of attack Thursday morning. Giuliani, who was previously ecstatic about Barr’s interpretation of Mueller’s findings, bashed Mueller’s team late Wednesday. Mueller’s report, according to Barr’s four-page summary “did not establish” a conspiracy between Trump’s campaign and the Russian government. And Mueller declined to make a “traditional prosecutorial judgment” on whether Trump obstructed the probe, but Barr then opted to absolve the president unilaterally, infuriating Democrats in Congress who said Barr — a Trump appointee who had publicly taken an extremely narrow view of presidential obstruction — should not have inserted himself into Mueller’s work before making it public. Trump has latched onto Barr’s letter to claim “total exoneration” and his allies have mounted a nonstop assault on Democrats who once promoted the notion that Trump’s campaign may have conspired with Russians during the campaign. Yet virtually none of Mueller’s evidence or findings have been revealed or any analysis of why he reached his decisions about conspiracy and obstruction. 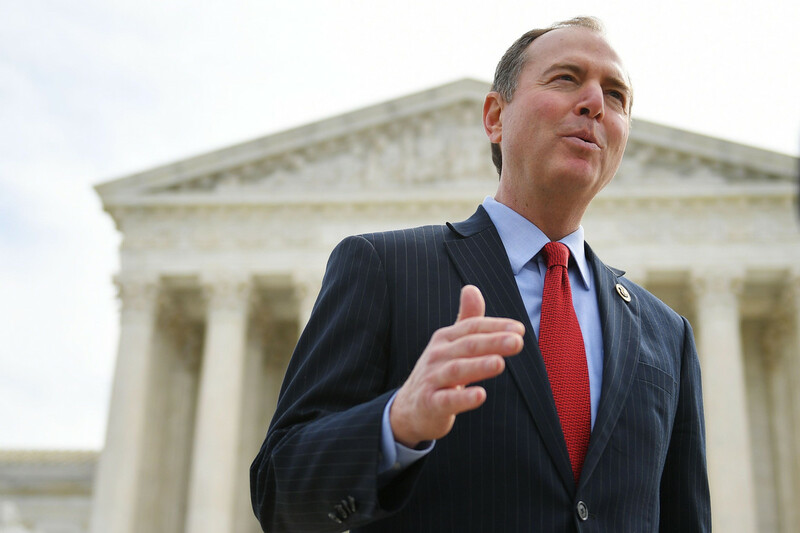 Schiff noted that the reports suggesting Mueller’s team crafted summaries meant to be made public undercuts Barr’s decision to deliver his own analysis of the report. Rep. Mike Quigley (D-Ill.) said there’s increased urgency to be concerned Mueller’s report may be destroyed, adding, “The best indicator of future activity is past activity.” He said Barr’s “biased” summary was such an indicator. Caitlin Oprysko and Katie Galioto contributed to this story.